In a fast-paced business world, people often don’t have time to stop for lunch, let alone take care of their teeth. But dental professionals say it’s well worth carving out some minutes for your mouth during the busy day — every day. “No matter how crazy your days are, you deserve excellent oral health and a beautiful, healthy smile,” says Dr. Nammy Patel, DDS, author of Age With Style: Your Guide To A Youthful Smile & Healthy Living. “But consistently neglecting your teeth and gums during long days in the office can be very costly both from a health and a financial standpoint. “Water neutralizes the acid in your mouth in addition to keeping you hydrated,” Dr. Patel says. “Too much acidity leads to enamel erosion, decay, cavities and gum disease.” She recommends drinking eight eight-ounce glasses per day, keeping a water bottle or water glass on your desk as a reminder. 2) Store oral essentials at your desk. 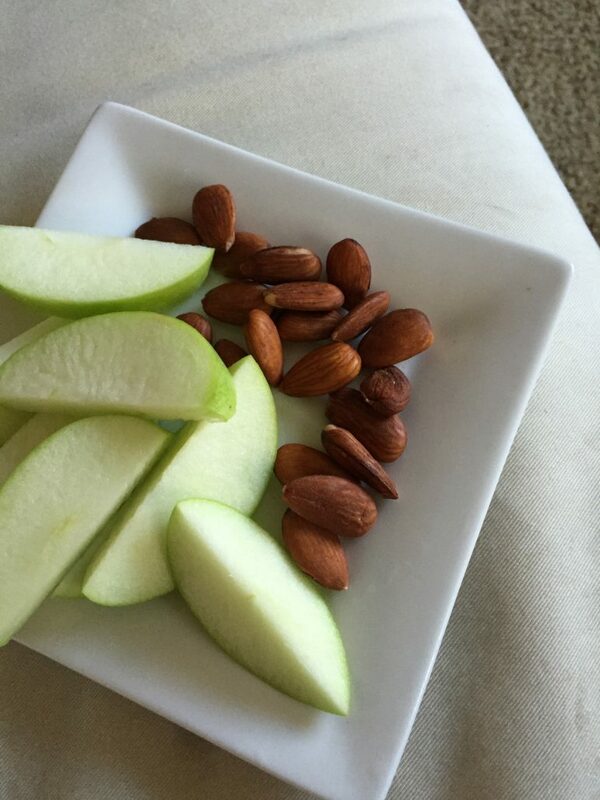 3) Snack on naturally cleansing foods. Eating on the run at work can lead to sugary snacks that compromise oral health. Dr. Patel recommends packing healthy items such as apples, carrots, celery and almonds. Patel says it’s not just what we drink at work that affects our teeth, but how we drink certain beverages. She recommends keeping a reusable straw in your desk. The stress of a busy day causes tension in your head, neck and jaw. Consistent tension in the jaw can lead to TMJ. Dr. Nammy Patel, DDS operates a practice called Green Dentistry in San Francisco and is the author of Age With Style: Your Guide To A Youthful Smile & Healthy Living. A graduate of the University of California’s School of Dentistry, she is a leader in the movement to bring environmental sanity and well-being into the dental world.